Throughout the early modern period, India was famed for producing cotton cloths. Although cotton is inexpensive and common today, cotton was not traditionally grown or spun in Europe and was, therefore, a prized commodity. Indian cottons were often painted or printed using highly sophisticated techniques. 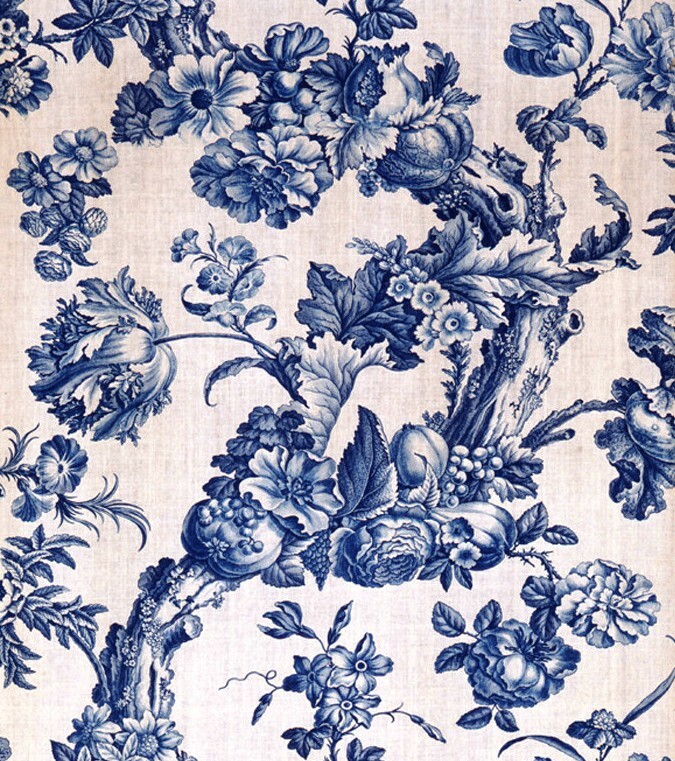 The word "chintz" can refer to both printed and painted fabrics. This exuberant example of a painted bedcover is covered in minutely colored flowers in a lively, curving composition. 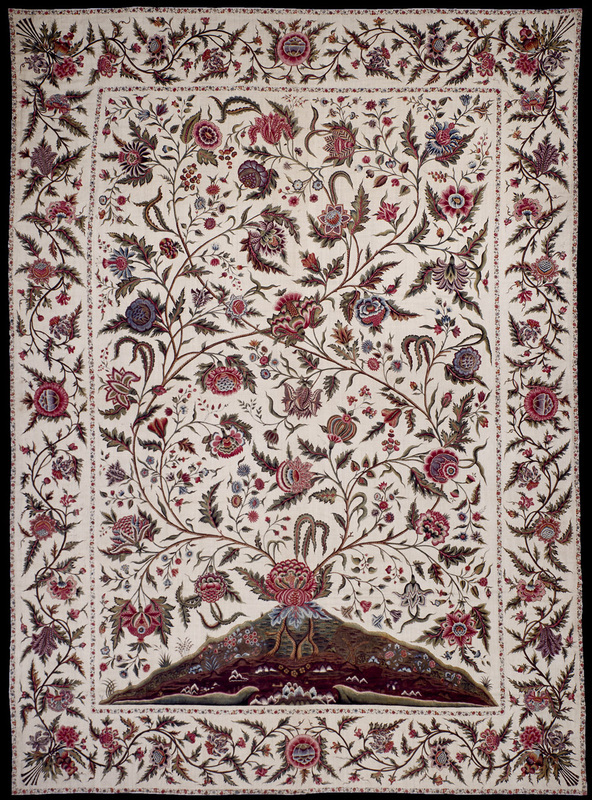 Indian manufacturers traditionally ornamented their textiles with designs on a red ground, but European consumers preferred colorful patterns on a white ground as seen here. Indian chintz was so popular in Europe that many local dyers attempted to replicate the results. 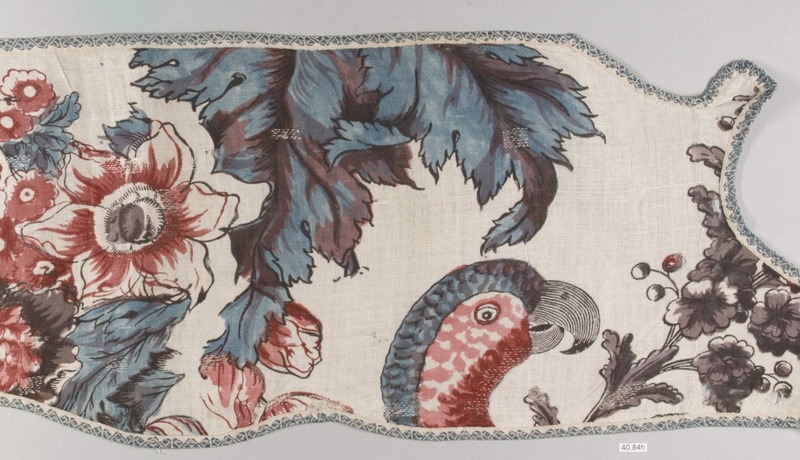 New processes for dyeing cotton and linen cloths continued to be developed, allowing complex, multi-colored designs to be printed onto the fabric. 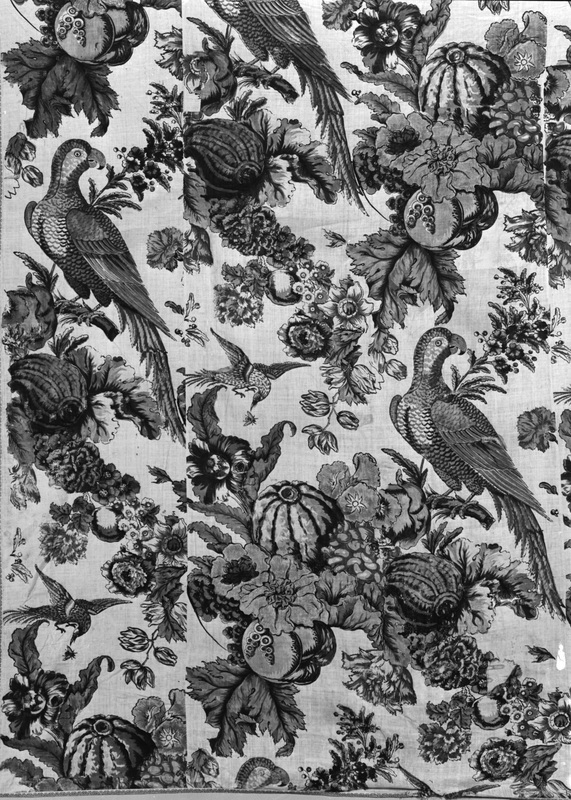 These remnants of a curtain are covered in an exotic printed design featuring parrots, large fruits and flowers. Trade contracts between Portugal and England led the British to export large quantities of textiles to Portugal and Brazil. Cottons woven in India and printed in England were included in this trade. This window hanging was printed with copper plates giving it the subtle linear quality of an engraving.